After obtaining the licensing in order to recreate the original Bauhaus series, Josef Naef designed a chess set made out of maple wood. Each board measures 36 cm x 36 cm and has a total height of 1.2 cm. Few board games can claim the same breadth of history as chess; Naef Bauhaus chess set not only encompasses the history but with clean lines characteristic of the timeless Bauhaus style. 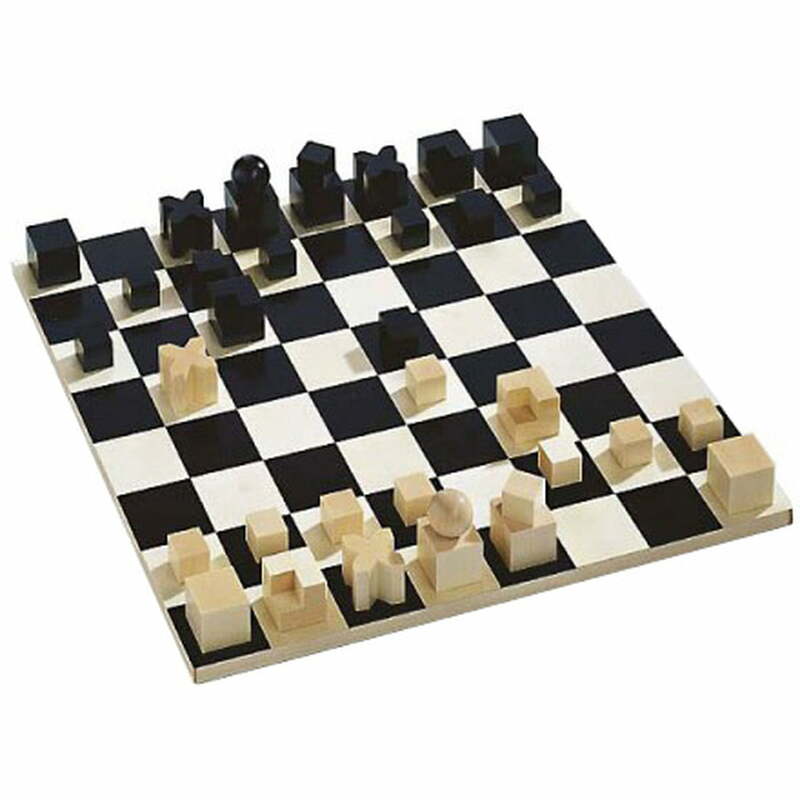 Naef is the authorized manufacturer and produces this Bauhaus Chess Set according to the original design. 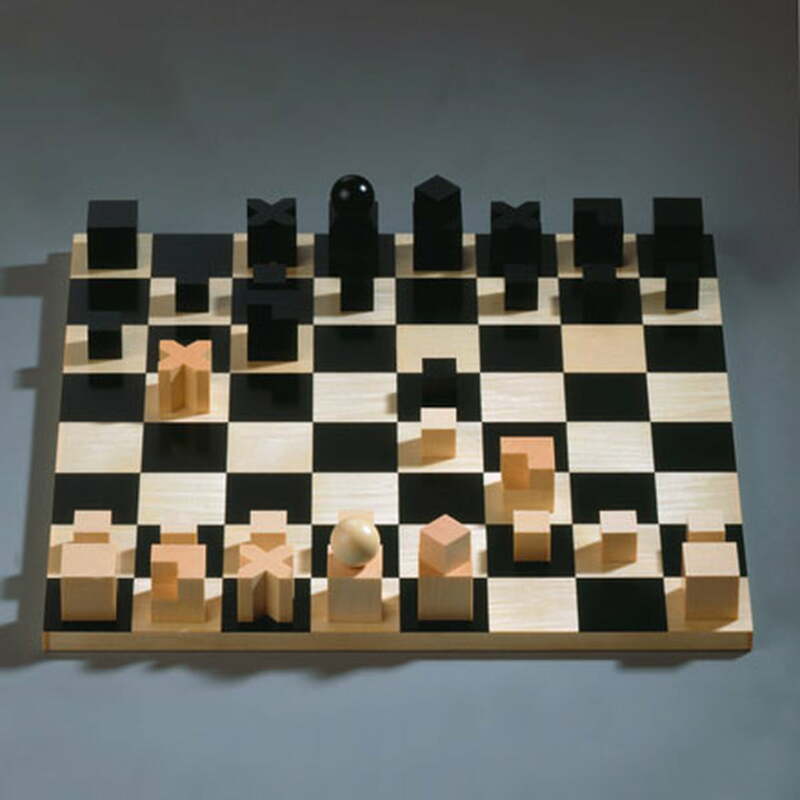 The Josef Hartwig Bauhaus Chess Set is part of the permanent collection at the Museum of Modern Art (MOMA). Please note: Chess board and chess figures are sold separately!! Without a doubt, the art education program of the legendary “Bauhaus” was decisive for the redevelopment of design and architecture in the 20th century. The philosophy of interlocking artistic, manufacturing and social dimensions is considered the fundamental turning point towards “Industrial Design.” Like many other pieces of Bauhaus, the chess set’s clear lines make it absolutely timeless and has consequently become a true design classic. Josef Hartwig's pieces, designed in 1923, stand out with their reduced shapes. Cubes and spheres lead you through the game’s moves all the way to check mate. The shapes of the pieces are no longer inspired by historical examples, but rather by their function in the game. The goal was to make the rules more easily understandable especially for beginners. "The new pieces are made of stereometric basic forms: spheres and cubes. Individually or combined, their shape specifies their movements, while their volume indicates their worth. The pawn and the rook move orthogonally to the board, which is indicated by the cube. The knight moves at a right-angle in a shape of a hook, thus indicated by the right angled cube formation. The bishop moves diagonally to the board and is represented by a saltire carved out of a cube. The king moves at a right angle and diagonally and is represented by a small cube on top of a bigger one. The queen, the most mobile figure, is made of cube and ball," Hartwig explains. 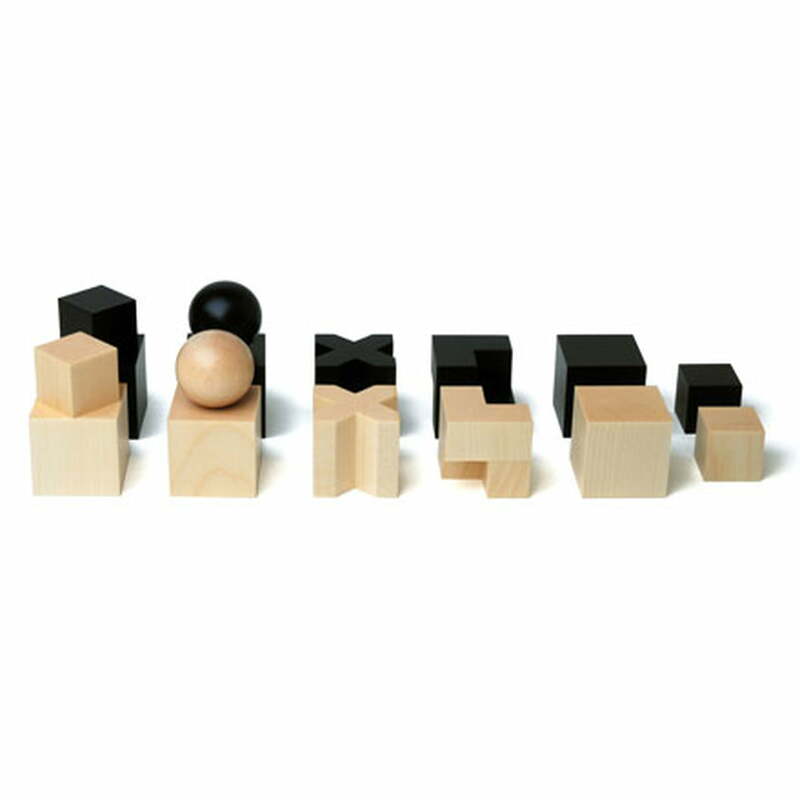 The Naef Spiele AG creates the Bauhaus toys according to their original designs. The Naef Games AG creates the Bauhaus-Toys according to their original designs.